Located in the heart of the Anaheim Resort District, the new Cambria Hotel Anaheim - Resort Area features stylish accommodations and its own 30,000-square-foot waterpark. Other amenities include a putting green, outdoor movie wall, BBQ area, 6 fast-casual restaurants, free hot breakfast and free WiFi. 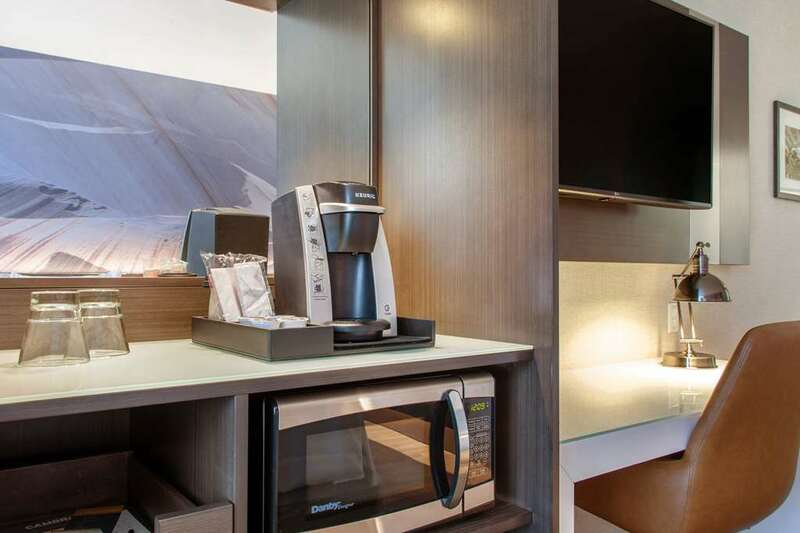 Guest rooms are spacious and include a refrigerator and microwave, flat-screen TV, Keurig coffee maker and premium bath products. Our hotel is located along the shuttle line for Disneyland, and we are near other top attractions, including South Coast Plaza, Angel Stadium and Honda Center. Nearby businesses include Marmol Export Corporation and Extron Electronics. Plus, you can earn Choice Privileges Rewards points for your stay.